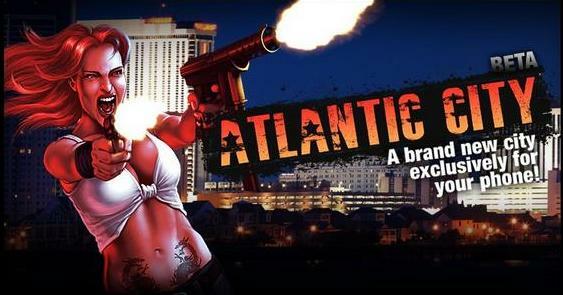 There will soon be a new location for Mafia Wars players to wreak havoc, Atlantic City, according to a leak caught by Mafia Wars Maniac. However, the new location will only be a city available to mobile phones--not to be confused with Zynga's Mafia Wars game for iPhone, which oddly has little to no connection with the Facebook game. Atlantic City can only be accessed by going to m.mafiawars.com from a web browser on a mobile device, but the content is currently in beta testing and no launch date has been announced. Fortunately, the leaked promo page in Mafia Wars gives a great amount of detail as to what we'll be enjoying in Atlantic City. Players Level 18 and above will be able to tackle this city using the same stats and items from their Facebook profile (finally!) as well as use their Las Vegas currency to complete the jobs. There will be an exclusive daily bonus for playing on your mobile device accompanied by two impressive reward items for mastering the location: the Automatic .22 with 105 Attack and 98 Defense and the Bullet 44 OET vehicle (99 Attack, 116 Defense). Bookmark the website on your mobile browser and stay tuned here for when Atlantic City finally goes live. Excited to have a new city to go to on your mobile device? What could this mean for the Mafia Wars iPhone game? Sound off in the comments. Add Comment.